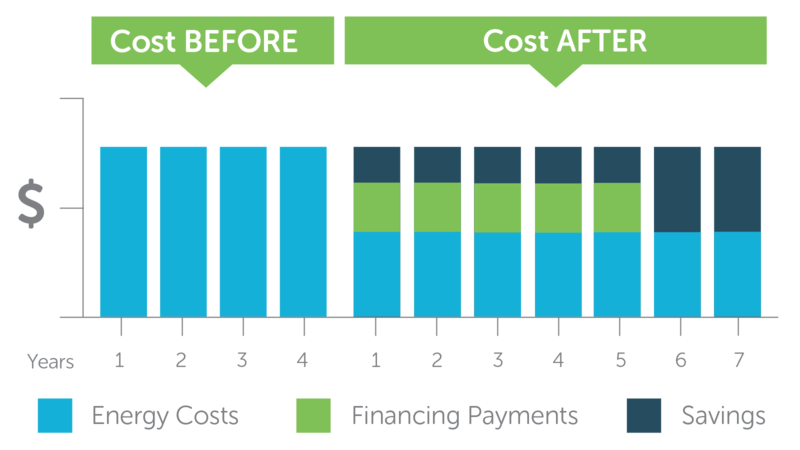 Connect your customers to low-cost financing to pay for the upfront cost of efficiency improvements. The Heat Saver Loan is a fast, easy, and flexible way to finance home weatherization and heating improvements. These can include cold-climate heat pumps, air sealing and insulation, solar hot water heaters, heat pump water heaters, central wood pellet boilers and furnaces, and advanced cord wood and pellet stoves. Work with an Efficiency Excellence Network (EEN) contractor to receive a scope of work and price quote on your home weatherization or heating improvement project. Complete the Heat Saver Loan project verification form with their contractor. Send their project scope of work, price quote and project verification form to a participating Lender, Opportunities Credit Union or Vermont State Employees Credit Union, to complete the financing process and receive payment. Contact Efficiency Vermont for information about participating lenders. Individual units of condominiums or cooperatives. Properties cannot be rented more than 14 days per calendar year, or be considered an investment property. (Businesses may be able to access financing through Efficiency Vermont’s Business Energy Loan) Properties must be an eligible property type based on the Credit Unions’ underwriting guidelines. Properties cannot be an asset in any pending bankruptcy, legal or divorce proceeding. Direct-vent or wall-vented space heaters and do-it-yourself weatherization projects do not qualify for financing through this program. Vermont Gas customers are only eligible for Heat Saver Loans for cold-climate heat pumps. Vermont Gas customers may contact Vermont Gas or Efficiency Vermont to learn about other financing options. What Efficiency Vermont incentives can be combined with the loans? Heat Saver Loans can be combined with Efficiency Vermont rebates. EEN; Out of network subcontractors allowed so long as work is identified by the EEN contractor as a necessary part of the project. Replacing non-natural gas water heating system (Vermont Gas customers only eligible if existing water heating system is not natural gas). Replacement of natural-gas water heating systems. All projects are eligible for financing of associated health and safety measures provided that the health and safety portion of the work does not account for more than 50% of the total loan amount. Example health and safety measures include: vermiculite, knob & tube wiring, foundation repairs, drainage systems and repairs, roof repairs, and mold remediation. Ineligible health and safety repairs examples include: work in areas of the home not required for the work scope, accessibility ramps, stair installation or repair. EEN qualified suppliers and installers are found on the “Find a Contractor” tool on the Efficiency Vermont website. Companies with multiple branches are required to register each branch with the EEN in order to be eligible to offer HSL financing – ensure the associated branch submitting the project is listed in the Find a Contractor tool. What equipment specifications are required? System includes qualifying high performance circulator pump. Must be a qualifying model. Qualifying models can be found here. Must be a qualifying system. Qualifying systems can be found here.